Fighting for the injured in Virginia Beach A car accident can instantly change your life and the lives of those you love. Through no fault of your own, you or someone you love could suffer horrible if not fatal injuries. If you are hurt in an accident, you need to be represented by an experienced attorney who is both knowledgeable of the law and also of the practices of insurance companies. Without adequate representation, you may be left with little or no compensation for the negligence of others. Our attorneys can assist you in navigating this process to ensure you receive just compensation. The lawyers at Fine, Fine, Legum and McCracken will ensure you are fully compensated for your immediate pain, permanent injuries, lost wages and all other pain, suffering and financial loss resulting from someone else's negligence. If you or someone you love have been injured in an automobile accident call us for help. 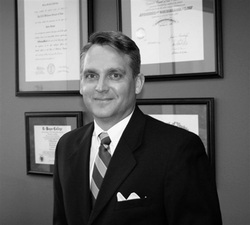 Gregory R. McCracken is a seasoned trial attorney with over 20 years of litigation experience, including eight years defending the United States Navy and Marine Corps in personal injury, property damage and medical malpractice claims brought under the Federal Tort Claims Act and Military Claims Act Claims. He has tried numerous cases on a wide range of issues before judges and juries and represented hundreds of people in divorce, custody and support issues. His practice includes motor vehicle accidents, divorce, child custody, child and spousal support, criminal and serious traffic matters and estate planning and litigation. He has tried numerous cross state child custody cases and is qualified as both a child and adult guardian ad litem. He joined the firm in 2006. Mr. McCracken served honorably in the United States Army Reserve from November of 1981 to May of 1992. He has completed the United States Army Judge Advocate General's Course. 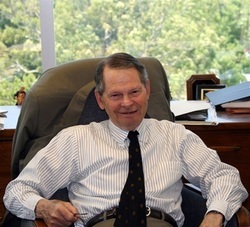 Morris Fine is the son of the firm's founding member, Louis B. Fine. He has been practicing law in Virginia since 1955. He continues with a dynamic full service practice. Mr. Fine routinely appears in all Courts in South Hampton Roads on a wide variety of issues ranging from personal injury to land use and development, business development and planning, estate matters and all aspects of civil litigation. Mr. Fine is one of the most sought after and respected Estate Planning attorneys in the area. His knowledge of this area of practice has brought peace of mind and security to hundreds of people over the years. Mr. Fine's knowledge and experience over a wide range of areas make him an asset beyond measure in representing you and all of your legal needs. Michelle McCracken graduated from LeMoyne College in 1986 and the University of Richmond, T.C. Williams School of Law in 1989. She is a trial lawyer with over 22 years experience in medical negligence, personal injury and family law matters. 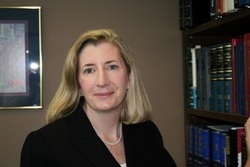 Michelle is known for her experience in injury and wrongful death cases as well as divorces involving intricate valuation and property divisions of businesses, the discovery of hidden assets and for ensuring her clients received their full share of the compensation from the insurance company or their spouse. Michelle has favorably represented hundreds of persons injured by the negligence of others in the State and Federal Courts throughout South Hampton Roads. Having obtained a $1.365 Million jury verdict for a traumatic brain injured client, resulting from a low impact rear end collision, makes her eligible for membership in the elite Million Dollar Advocate Forum. She has repeatedly taken on major corporations and insurance companies and resulting in millions of dollars to her clients. Her dynamic, tenacious and energetic style makes her a fierce and effective advocate for every person in need. Michelle understands the change, fear and anxiety caused by severe physical injury, loss of a loved one or the break up of a marriage. She works with each client individually to address their legal needs and find a meaningful solution. She has helped countless clients to begin a new life after the trauma of an injury or divorce. She regularly appears in all in courts throughout South Hampton Roads as well as Hampton and Newport News and is ready to assist you.